The Federation of Knowledge Workers (FLC CGIL) was formed in 2004 by the amalgamation of the Cgil SNS (School) and SNUR (University & Research) unions. Its inaugural Conference was heldfrom 15 to 18 February 2006 inTrieste (Italy) and Portorož (Slovenia), thus underlining the new union's European identity. The FLC brings together all those who work in the following sectors:schools (both state and private, plus Italian schools abroad), adult education, universities (state and private), research (state and private), vocational training, and higher education in music and the arts (AFAM). In short, it is the knowledge workers' union, uniting management staff, teachers, administrative staff, support staff, technicians, technologists, and researchers, whatever their type of contract (state/private, open/fixed term, etc). The founding aim of the FLC was to bring the whole knowledge sector together under one roof in order to strengthen workers' representation and safeguard their interests: the FLC aspires to be the political and professional reference for a sector in which workers with such a diversity of competences and career profiles are united by common interests (knowledge of whatever kind lies at the basis of equality of opportunity). The founding values which constitute the FLC's identity are peace, disavowal of war and rejection of violence.The union's programme and actions are based on the Italian Constitution which developed from the Resistance struggle. The FLC holds that knowledge is a common good and considers unity in the education sector crucial for developing policies to empower citizens to obtain their fundamental rights. Cultural and linguistic diversity is an essential factor in the construction of democratic society, and is valued highly by the FLC. The FLC's members play an active role in all aspects of the union's political life and participate in the decision-making process.In the workplace they undertake to act professionally in accordance with the union's basic principles. The FLC holds that its mandate from the workers should be tested when formulating and ratifying union agreements;in the absence of agreements with the other union confederations, the members' opinion as expressed in a formal consultation is binding. The FLC establishes relations and collaborates with foreign unions and associations involved in education and training, cooperation and solidarity. The FLC is a member of Education International. The FLC is structured around workplace Members' Councils, Provincial and Regional Federations, and the National Federation.Members at each of these levels elect a Steering Committee and a Secretariat (Executive Committee). The FLC has branches nationwide and also abroad, wherever there are Italian schools or courses of Italian language and culture. The various specific professions and contract areas are represented by national and regional Sector Groups, regional Coordination Centres, Committees and Coordination Groups for the research institutes, and Forums for university teachers and researchers. The FLC is actively interested and involved in general political issues, contract policy in the education/knowledge sectors, casualisation and short-term work, international politics, organisation policies, communications and professional training for unionists. Public employment is governed by the same rules as those in the private sector. In the public sector the following aspects are regulated by law:recruitment, definition of staff numbers, and office organisation. devolved, for the supplementary contract, which can have national, regional, and local/workplace validity according to the issues and sectors concerned. In the public sector, unions can take part in the bargaining process if they have over 5% representation, calculated as the mean between the number of votes (in %) obtained nationwide in workplace elections of Unitary Workplace Union Structures (RSU) and their national membership (as % of total union membership in the sector concerned). RSUs are elected by workers in each workplace from lists presented by the various unions; candidates need not be union members. Thus RSUs represent all the workers in their individual workplace and enjoy collective bargaining and trade union rights. The national result obtained by each union, along with its membership, contributes to determining how representative the union is at the national level. The school ballot took place in 2006: the FLC is still the biggest union, with 33% of the vote. The FLC offers a series of services and facilities giving added value to its members. Advice on union issues at all our branch offices. Cultural offers:discounts on all books and periodicals published by Edizioni Conoscenza (teacher training, educational theory, school management, regulations, contracts); access to training facilities offered by Proteo Fare Sapere, a professional association recognised as a training provider by the Ministry of Education. Union confederation services: members also enjoy the entire range of facilities offered by the CGIL (protection of social security and welfare rights, legal advice and tax guidance, numerous other cultural and commercial offers). 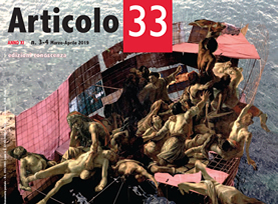 VS la rivista, a fortnightly journal with union, professional and cultural news.